Our beautiful retreat center in Pescadero, Baja Calfornia Sur. Baja Retreats provides everything you need for a restful yet inspiring vacation experience. Depending on the size of group and desired amenities. 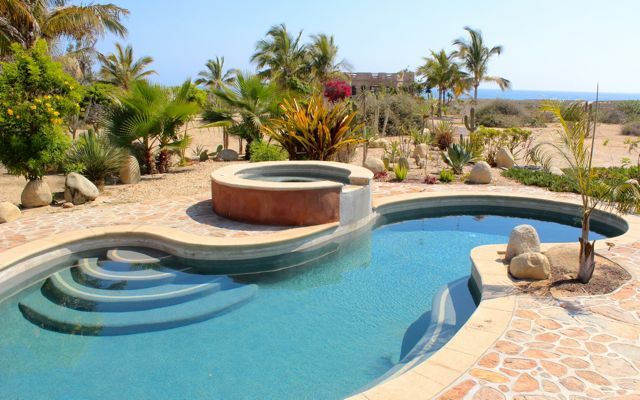 For small groups, we like the Baja Beach Oasis, which is a great place for 1 to 6 people to really unplug and unwind. When retreats require more space we have the Villa Del Faro location (up to 12, and where we do our in-house retreats), and for larger groups we have access to the Flora Del Mar guest house (up to 18). We can even accommodate up to 30 people upon request. Delicious, locally grown organic (when possible) meals are prepared fresh on location daily and are included while attending our retreats. We are happy to accommodate any special dietary needs, just let us know when booking your event and we will make the required adjustments. If you prefer to do your own cooking or bring your own chef, no problem! You are free to use the facilities as you wish.